Taking out a Thrift Savings Plan loan has advantages and disadvantages, but the disadvantages far outweigh the advantages for most people. 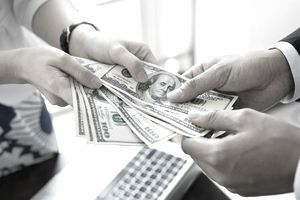 Even the US Office of Personnel Management (OPM) advises federal employees to exhaust all other loan options before borrowing from their Thrift Savings Plan accounts. The Thrift Savings Plan is one of the three primary methods employees under the Federal Employees Retirement System use to save for retirement. The others are pensions and Social Security. Many people find substantial advantages to Thrift Savings Plan loans and opt in despite the OPM's suggestion to exhaust other options first. Low-interest rate: The interest rate on Thrift Savings Plan loans is the same as the rate of return on the G Fund. This fund is one of the funds available to invest in through the Thrift Savings Plan and is made up of government securities. The G Fund and other Thrift Savings Plan funds are used to create the investment mixes for target date funds available to plan participants. The G Fund typically has a rate of return of less than 2 percent. The rate used for a loan is the G Fund rate the day the loan is taken out. A wide range of allowable loan amounts: Provided you have the money in your account, you can borrow between $1,000 and $50,000. The Thrift Savings Plan website has a loan calculator you can use to estimate your loan payments. Repayment through payroll deductions: From a processing standpoint, Thrift Savings Plan loans are easy to repay. Payments are made by payroll deduction. Ability to make additional payments at any time: If you want to make an additional payment on your loan, you can do that with a loan repayment coupon available on the plan website. The coupon helps ensure that your payment is applied to your loan. If you pay off the extra principal in the early years of your loan, you can pay the loan off early or reamortize it to make smaller payments. The negative implications of a TSP loan are considerable, and require as much—if not more—attention than the positives. Application processing fee: A $50 processing fee is applied to each loan. It is deducted from the money you receive when you take out the loan. Missing out on earnings: This is the most significant disadvantage of taking out a Thrift Savings Plan loan. You are essentially borrowing from your own future when you take out the loan. When you remove the money from your Thrift Savings Plan account, you forgo the investment growth you would have earned. On top of that, you have to pay back your own money with interest. 90-day repayment if you leave federal service: If you leave federal service while you have a Thrift Savings Plan loan outstanding, you must repay it within 90 days. Otherwise, the outstanding amount will be reported to the Internal Revenue Service as income. Short loan terms: The loan periods are relatively short. General purpose loans must be repaid within five years. Residential loans must be paid off within 15 years. To reiterate, OPM recommends exhausting all other loan options before taking out a loan from a Thrift Savings Plan account.